Please come along and have your say about what is happening in your Church and how it is run. Afterwards - refreshments & Sales Table in the hall. 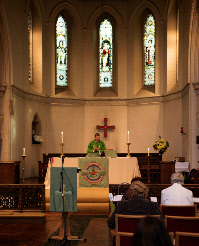 Our main service at 9.30am each Sunday morning is a Sung Eucharist taken from Common Worship. We have a tradition of healing ministry through prayer and laying on of hands & anointing takes place roughly bi-monthly. 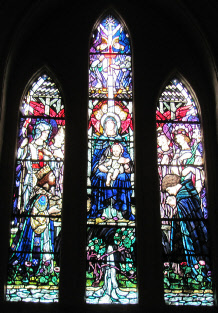 Our All Age Eucharist is held at 9.30am on on the 3rd Sunday of each month. This is an inclusive act of worship centred around Holy Communion. Holy Communion is the first service on Sunday and is said at 8am. Once a month we use the Book of Common Prayer for this quiet act of worship. The Lady Chapel may be used as a focus for prayer. Those celebrating special events this coming week, especially Thomas, Freddie & Peter on their birthdays. Beth & Leigh-Ann preparing for confirmation. The Departed - We remember all those who have died recently and those whose Years Mind falls at this time, especially Wyn Sturgess. 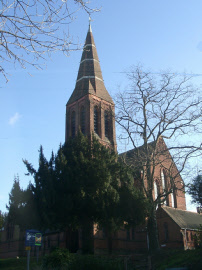 A friendly Church of England congregation in Watford, Herts. We form part of The Diocese of St Albans. Need a hymn for a wedding, Christening or another special occasion? We have a unique collection of hymns, written over the years by our organist, Roger Tabor.